"I feel like I've gone over this a bunch of times already, Heather" my client said to me. She was referring to her signature program. The one in which that she had invested in several group programs to gain clarity and to learn how grab her peeps. She had worked on it over and over - continually honing and polishing. She wanted a second set of eyes - someone to truly SEE her and her business - and to help her tighten up how to talk about it. She wasn't getting the "hey, what do you think of this?" attention that she was craving. I have seen client after client get fabulous ideas from the marketplace and get inspired to roll out a similar program in their own business. They learn the blueprints and dream of how they can leverage themselves with this new program. Yet they want to know how to make it their own. They want to make it feel like "them" but also juicy. They want to clarity on why - specifically - they stand out from the crowd. And they have no idea what to "fix" or polish it do that. Because right now it feels too flashy. Too cookie cutter. Too "un-them. They have listened to hundreds of telesummits. They are on a bazillion business-buliding mailing lists. They have e-courses sitting in their downloads folder just waiting to be heard…. They are drowning in information. And I tell them over and over - it's not rocket science. You just need to sprinkle more of YOU into the mix. Yep - YOU! Your story. Your passion. Let them get to know you! You don't come in a blueprint or formula. You don't need to share one more "how to"
Share more of YOU so that your audience will feel like they know you, they like you and can trust you. Pick one area of your program that you love - and expand on WHY you love it. Love incorporating movement into your coaching program? Write a paragraph or make a video about why you love it so much! Use that as part of your marketing - it will bring out more of the true you! Love your "starter kit" that includes kitchen clean outs and recipes that you have carefully put together? Tell us the back story about why you created this and how you use it in your own life - we would love to hear it! And I frequently talk about my signature "interview" style of coaching, where I let my clients "rip" as I take notes. I help them pull out marketing copy that they didn't even know they had! They can't get that type of support in a large group, and it lights me up to empower them in that way. Every. Single. Time. So, just "let it rip" when it comes to what you do best in your business - and then share wherever you feel comfortable. I promise your audience will enjoy it. 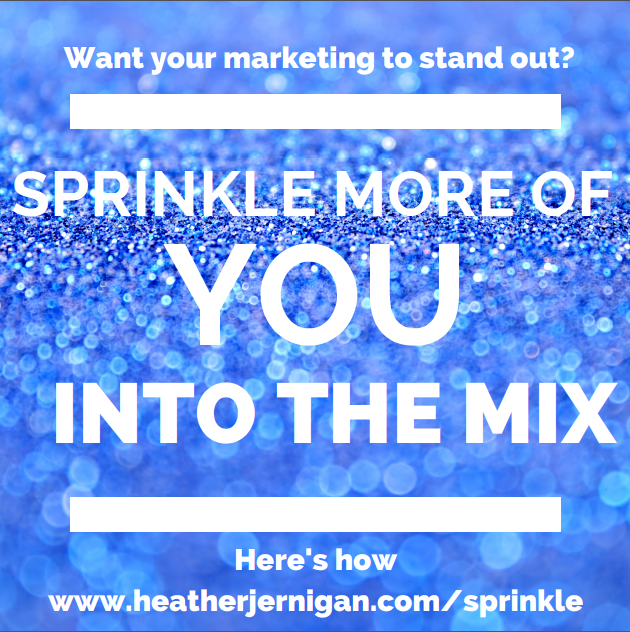 When your passion shines through - your marketing will sparkle. 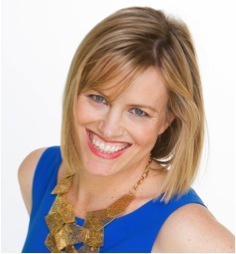 Kick off your 2015 marketing with an intention to tell more about YOU. We are truly DYING to hear more! I'm super excited to be having something coming VERY SOON to help you get personalized marketing attention so you can better stand out AND still feel like you!